Jobsoid allows you to create predefined tasks and delegates them to your team members with ease. 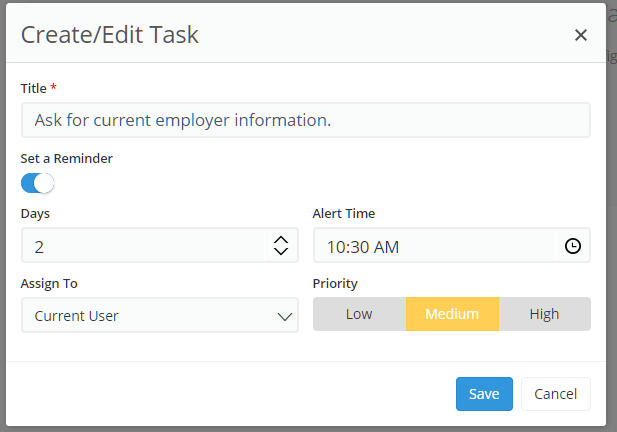 You can assign a particular task to a team member at the time of task creation. Every time that particular task is added, it will be assigned to the concerned team member automatically. You can also link these tasks with the stages of your recruitment pipeline and automate your task assignment process.